We recently helped a partner to build an RSS News Aggregation application. RSS is a popular format for delivering regularly changing web content over the internet. Many news-related sites,blogs, etc. syndicate their content as an RSS Feed to subscribers and doesn't need any further introduction. This Wolf application allows users to obtain their favourite web content and store/view the content from their own website. Moreover, it allows filtering and searching of the obtained RSS content, etc. The first step to using the RSS News Aggregation was to enter the URL for the RSS news feeds. 1. The entered URL is checked for validity. 2.The XML content at the given URL is obtained. 3. The URL specific XML format is processed & converted into the Wolf specific XML format. 4. The data in Wolf XML format is then automatically presented to the user in his Wolf application. 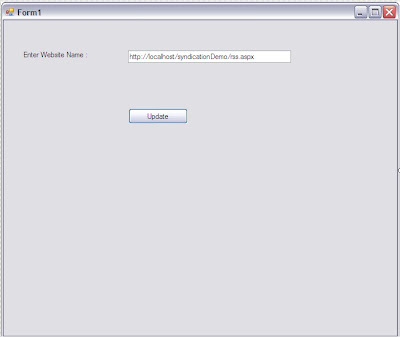 The RSS news aggregation obtained from the URL is presented item wise to the User in Wolf PaaS. The user is presented with all the details of the news items such as Headline, Description, etc. The User can click on the individual items to view the full story! Let me know if you need more assistance, will be happy to do more.